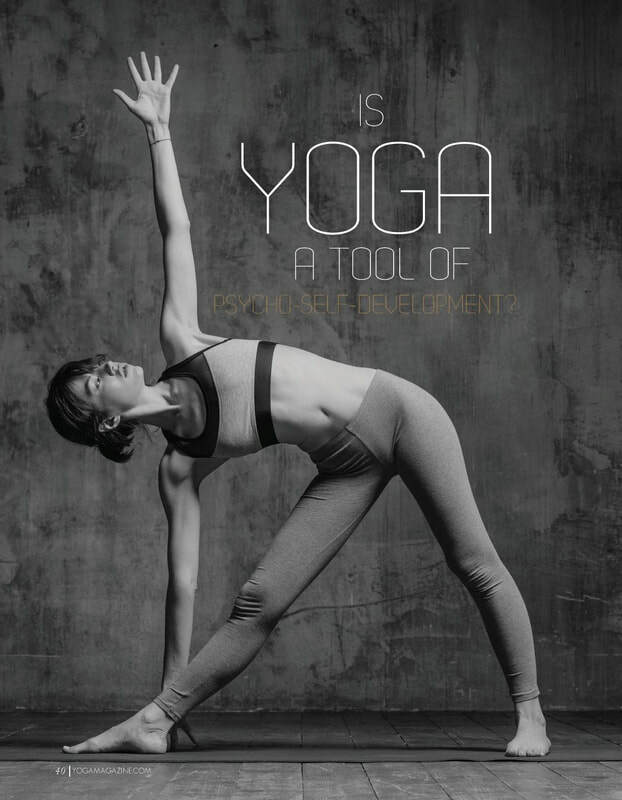 Is Yoga a tool of psycho-self development? Bharadvājāsana II is a seated twist asana. 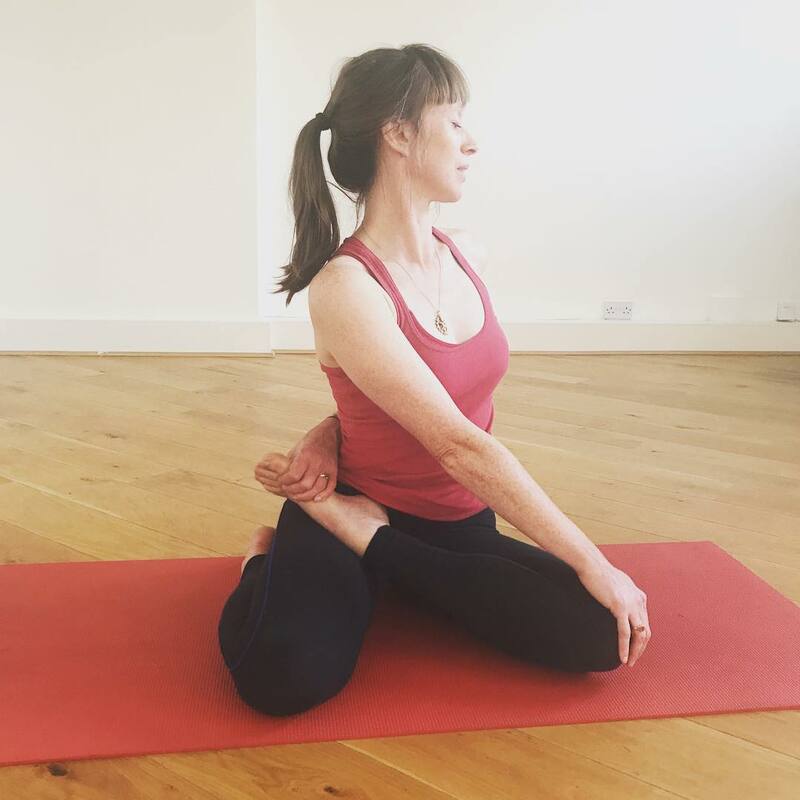 Twists are beneficial on many levels; increasing mobility of the spine, stretching and strengthening back muscles, stimulating internal organs, assisting digestion, stimulating samana vayu (an internal pranic flow) and of course leading us to integration! The benefits to the spine are obvious. 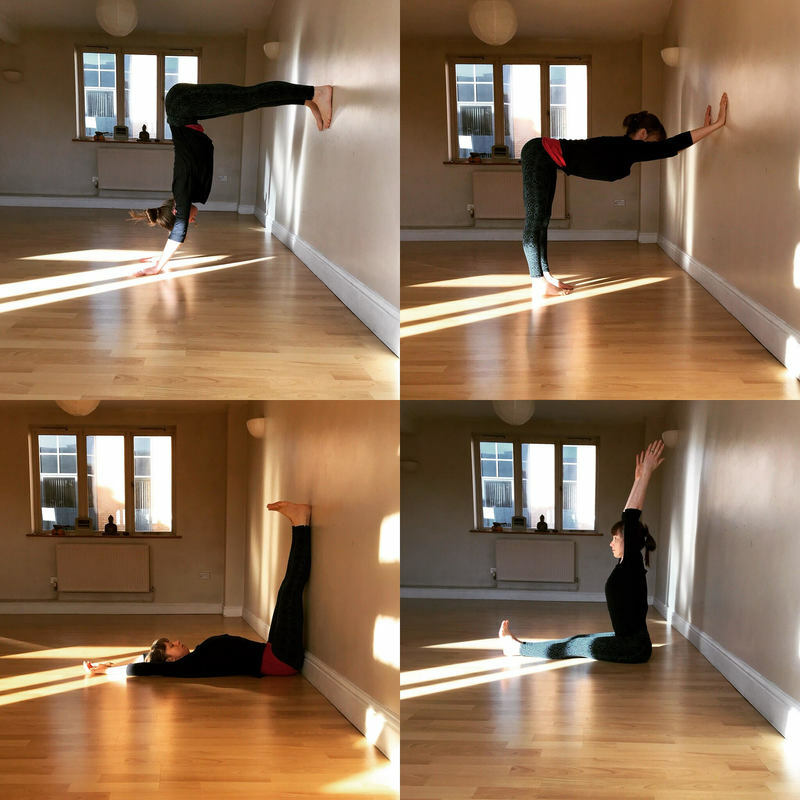 We mostly on a day to day level forwardly flex the spine in bending over actions so twists give us an opportunity to explore another range of movement of the spine and bring a well needed stretch to back muscles such as the quadratus lumborum and latissimus dorsi amongst others. The internal organs of the abdomen are stimulated through compression which leads to increased blood flow on release (and the liver particularly benefits from this as a holder of 25% of our blood in the body with over 500 functions identified!). The compression and stretch alternately through the abdominal region stimulates digestion in much the same way as stronger practices like uddiyana bandha and nauli do. Samana vayu (one of the 5 directional pranic flows in the body) is strongly associated with digestion (both food and life experiences) and is considered to be a focussing energy, which is apparent in these postures in their ability to take us to a deep state of absorption, which also leads me to my final point of moving us towards integration. Ultimately we use any type of yoga posture for greater awareness of that which is real and continuous, which we can call consciousness, ground of being, essence nature, awareness itself, Brahman, Siva or even god if you dare! 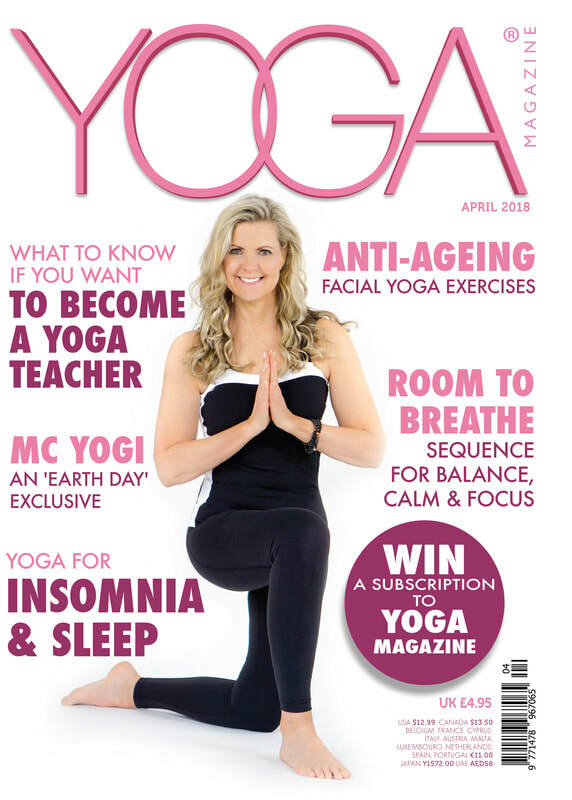 Whatever your motivation for practicing yoga however, let it absorb you in the practice and you will receive a clarity and calmness (and even joyfulness) that only comes from a merging of ourself with present moment awareness which can't be bad! 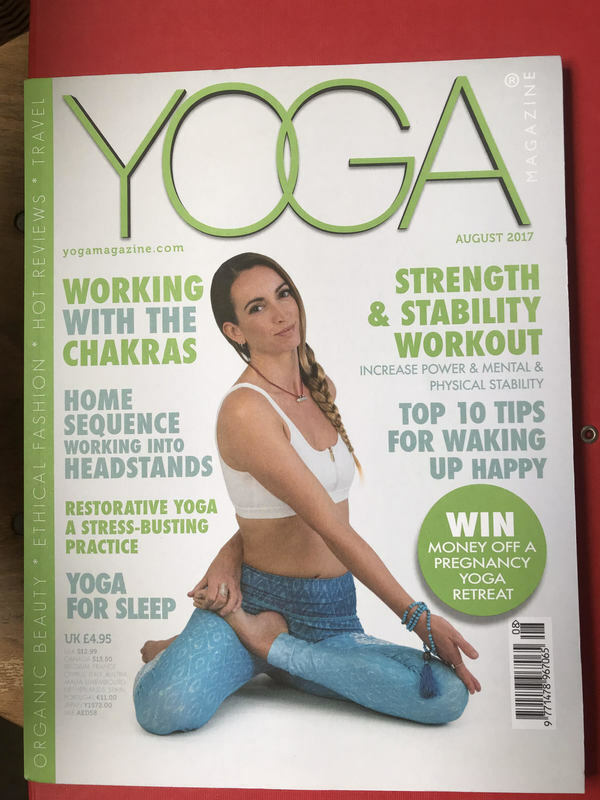 This is an article I wrote for Yoga Magazine which appeared in the July 2017 edition. Hope you like it! Heartfelt thanks khadine and all who joined in the wonderful retreat at Florence house. I arrived stressed and unsteady and left feeling restored, grounded and alot more connected to the present moment. I also made some new friends along the way...Loved the yurt, the food and the combination of yoga, mantra, walking and meditation. A very lovely weekend. Thanks again - Kelly C.
"Om is not just a sound or vibration. It is not just a symbol. It is the entire cosmos, whatever we can see, touch, hear and feel. Moreover, it is all that is within our perception and all that is beyond our perception. It is the core of our very existence. If you think of Om only as a sound, a technique or a symbol of the Divine, you will miss it altogether. ..... Om is the mysterious cosmic energy that is the substratum of all the things and all the beings of the entire universe. It is an eternal song of the Divine. It is continuously resounding in silence on the background of everything that exists" – Amrit Ray . ​Thank you Khadine it was such a wonderful weekend, i enjoyed every minute. 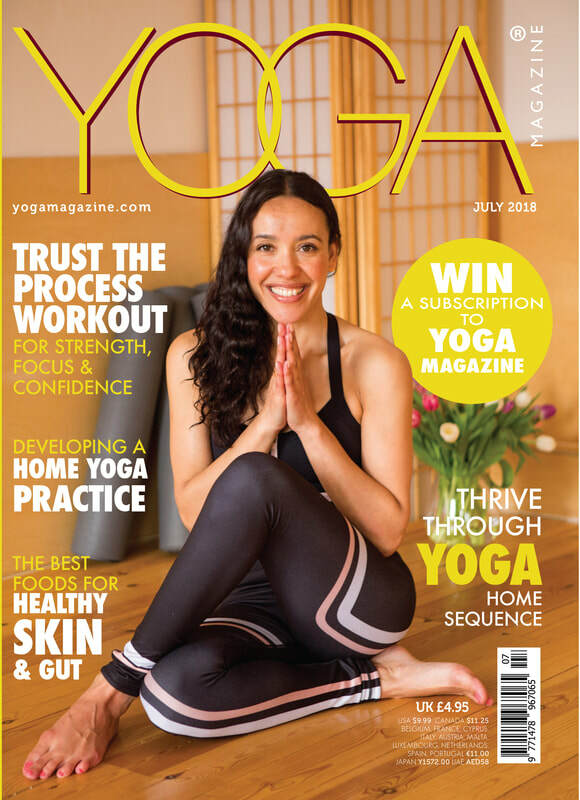 My feelings about my yoga practice have changed because of you - i realise it's less about the destination, the end result, the ultimate most difficult yoga pose and all about the journey, the practice, the moment, the now. And really there is no end anyway ! I probably knew that already but had been distracted and waylaid by wanting to be the best, to push myself too fast into the most challenging positions. Within i feel re-energised, stronger, more focused, opened up physically and spiritually, and i feel taller!! I hope this awareness spills over not just into the rest of this week but into next week, and the one after, and the one after that and onwards. Thank you so much for a truly wonderful weekend. I can't tell you how nourishing and revivifying it was. You have a lovely gentle wise and considered way. Yes I am indeed getting the benefit from the weekend well into this week (and beyond, I have little doubt!). I hope you are too. Thank you again. My feedback is pretty straight forward. I loved everything you did, the exact way you did it! I feel very lucky indeed that you have been my yoga teacher for so long. Thank you for a superb weekend!